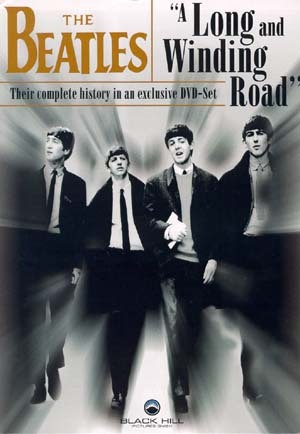 The Beatles "A Long And Winding Road"
They shook the world, they changed the course of history. They are much more than just a musical group, they are a part of our lives. The Beatles' story is told through the eyes of the people who were there, from John Lennon’s first musical group The Quarry Men, to the final days at Apple with General Manager Alistair Taylor, to the very personal recollections of the Beatles' first manager Allan Williams. This program contains never before seen footage of the Beatles at work and at play. Over forty people were interviewed; relatives, friends, musicians, managers etc. to tell the complete story. No Beatles fan can be without this exhaustive study of the greatest band of all time. A Long and Winding Road is the story of the world’s enduring love affair with the four boys from Liverpool who became the soundtrack for a generation.